Collingwood City FC receives $2000.00 from the A-League! CCFC were given an amazing opportunity this past weekend to gain more funds for our club as we head into the 2017 season! Posted in Club News and tagged with FFA Cup, FFV, Melbourne City, FFA, Football Victoria, football, Football, Yarra Council, Youth, Boys Soccer, City of Yarra, Seniors, Special Needs, Soccer, Reserves. December 5, 2016 by Wayne Lewis. Another great turn out for the West Ham United International Academy held at our home grounds of Kevin Bartlett Reserve. CCFC once again welcomes the West Ham United International Academy to our home grounds at Kevin Bartlett Reserve! Posted in Club News and tagged with Academy, West Ham United, Camp, Youth. July 4, 2016 by Wayne Lewis. Club Secretary Sarah Iacono, Youth Coach and Senior player Adam Gallo, and Club Volunteer Frances Dunphy, showing off boots that will benefit players in need. Collingwood City takes steps to benefit the less fortunate members of the community in order to share the joy of the Beautiful Game with everyone! Posted in Club News and tagged with Boot Drive, Reagan Milstein Foundation, Youth, CCFC, Collingwood City, Soccer, Charity. March 10, 2016 by Wayne Lewis. 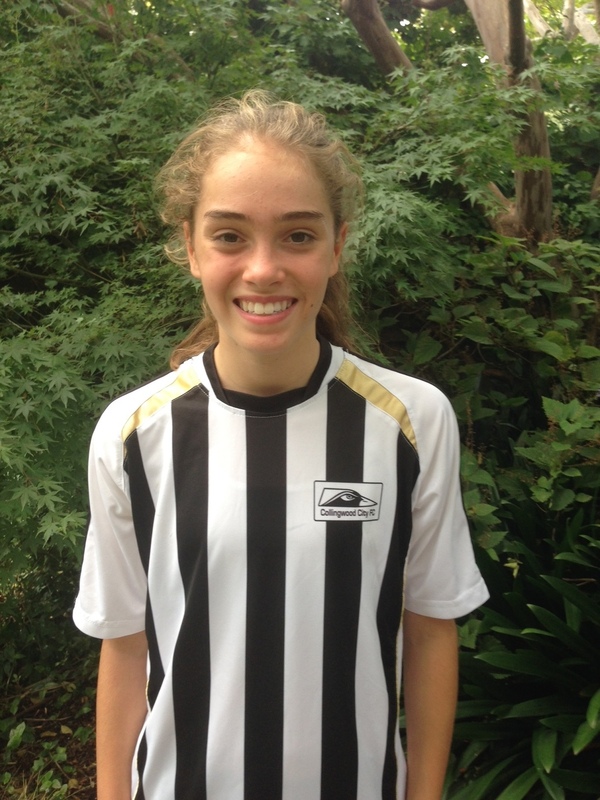 CCFC's Matilda Wilson to represent Victoria! Posted in Club News and tagged with Youth, Victoria, National Youth Championships, FFV, Football, National Training. February 9, 2016 by Wayne Lewis.